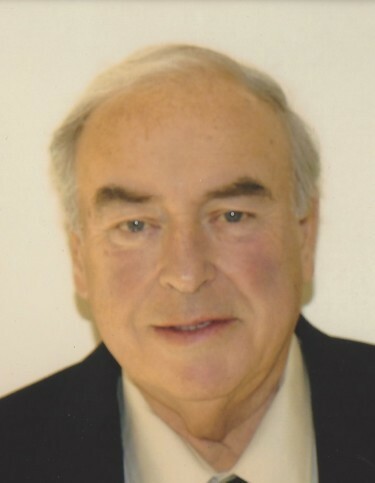 Obituary for Daniel J. Tollan | James C. Stump Funeral Home Inc.
Daniel J. Tollan, 78, of Rostraver Township, passed away on Sunday, April 14, 2019 in Mon Valley Hospital. Born in Fairhope on December 28, 1940, he was the son of the late George and Theresa (Murt) Tollan of Rostraver Twp. Daniel was a graduate of Rostraver High School, Class of 1958. He was employed at Lee Norse Company in Charleroi as a machinist. After the closing of the company, he worked until retirement at Dynol Nobel in Donora. He was a member of St. Sebastian Church in Belle Vernon. He was an avid hunter and fisherman. He especially loved boatings at Lake Erie with family and friends. He was a member of the Fairhope Rod & Gun Club and the West Newton Sportsmens Association. He is survived by his loving wife of 56 years, Beatrice (Pender) Tollan; his three daughters, Diana (Donald) Frolo, Kristen (Jeffrey) Skocik and Maureen (Jeffrey) Dimitroff; his grandchildren, Jessica Frolo (Andrew) Spate, Meghan Frolo, Erika Skocik, Danielle Dimitroff and Dawson Dimitroff, all of Rostraver Township; his brother and two sisters, Thomas Tollan of Carmichaels, Patricia (Jon) Harris of Glen Wilton, VA and Maureen (Gary) Sandor of Port St. Lucie, FL; as well as numerous nieces and nephews. Friends will be received on Tuesday from 2 to 8 p.m. in the James C. Stump Funeral Home Inc., 580 Circle Drive, Rostraver Township (724-929-7934) www.jamesstumpfuneralhome.com where a Blessing Service will be held on Wednesday at 9:30 a.m., followed by a Funeral Mass at 10 a.m. in St. Sebastian Church with Rev. Michael J. Crookston presiding. Entombment will follow in the Belle Vernon Cemetery Mausoleum. In lieu of flowers, the family suggests memorial contributions to the American Heart Association or the National Kidney Foundation.